$12.50 In stock. Order in the next 15 hours, 40 minutes and it will go out today! In stock. Order in the next 15 hours, 40 minutes and it will go out today! 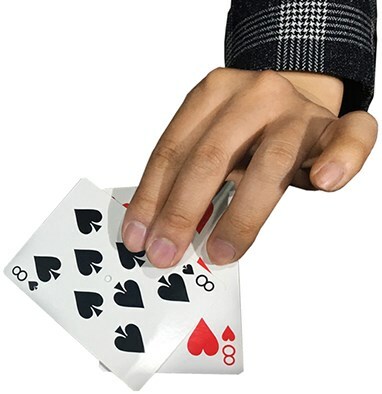 Here's a great effect for close up magic - an impossible solid-through-solid demonstration! 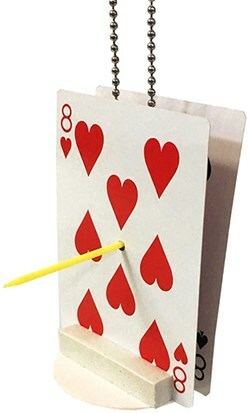 Two cards, each with a hole in the center, are placed on a stand. 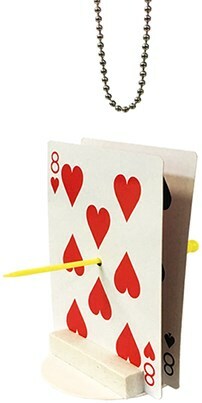 The magician inserts a chain between the two cards and rests on the table. 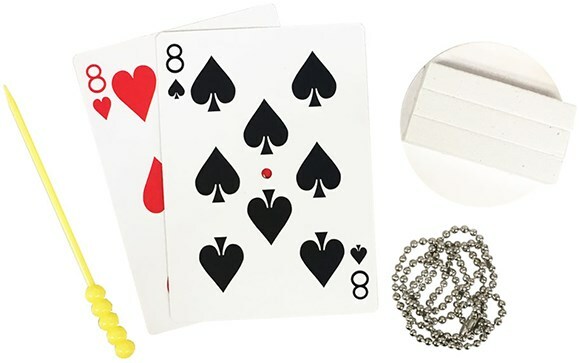 A plastic sword then goes through both cards and remains in place. 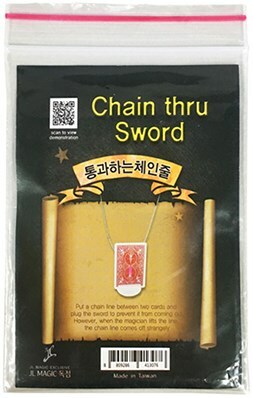 To prove that the sword is solid and is impaling the cards, the chain is raised and lifts both cards in the air. NOW for the magic! The magician pulls the chain, and it appears to penetrate right through the sword! Produces great reactions from spectators? 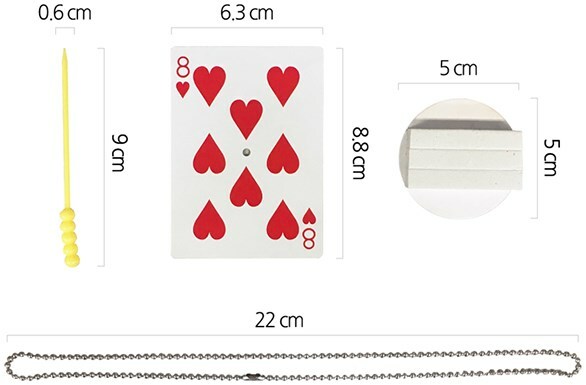 The cards and sword are made of excellent quality. The chain is a normal chain - it can easily be replaced. Great for beginners! Suitable for ages 14 and above. And all you need to make this miracle happen!